Pre Moistened Face Paint Remover Wipes from Ultra Force contains 30 pre moistened wipes. The wipes measure 7” X 4”. 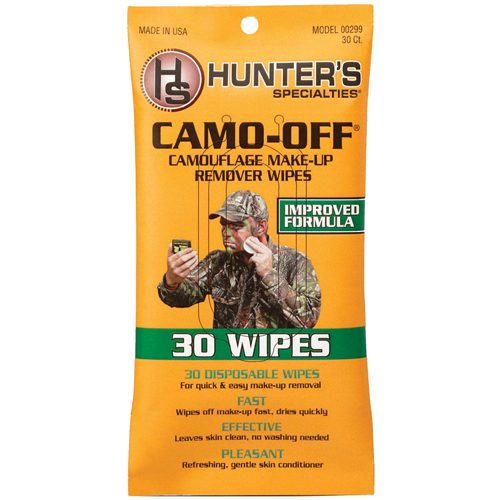 The wipes can be used for special purposes. It is mainly used to remove face makeup and crèmes. It is a perfect way to remove the solid camo make up. The wipes are formulated in such a way, that it removes the make up quickly without much effort. As the wipes are pre moistened, it is soft and smooth to use on skin. It has gentle and refreshing skin conditioners. It leaves the skin clean, soft and smooth without any marks on your face.